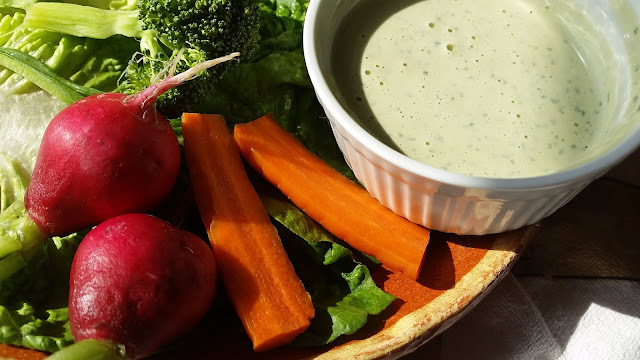 This sauce seems to be taking the world by storm...Trader Joe's carries its own version now, but they've also started carrying tahini, so you could even get the ingredients to make this there. Between this and making my own hummus, I've been buying tahini at least once a month. 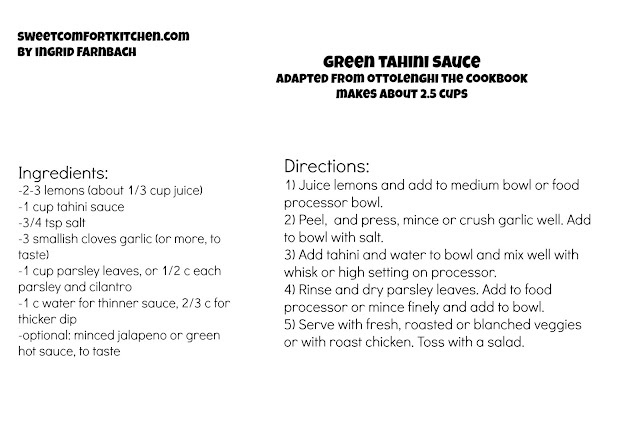 It's also a very versatile sauce that you can make your own. I've made a simple version with just parsley for the green part, but you could use a mix of cilantro and parsley if you love cilantro, or you could even add a jalapeno or some green hot sauce if you wanted it spicy. To use mainly as a dip, reduce the water by about a third. 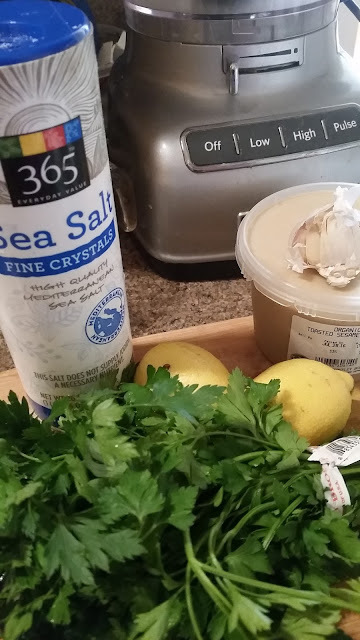 I'm planning to use more of this on some roast chicken tomorrow--alas, Whole Foods was out of all but the BBQ marinated birds, so I'm seasoning one in the fridge to cook myself. This is all you need for the basic recipe. You can also make it by hand, with a whisk and a little elbow grease. Do people still say elbow grease? Upper arm strength, if you will. Zest two or three lemons and set the zest aside for another use, or add a little to the sauce if you don't quite get enough juice out of them. 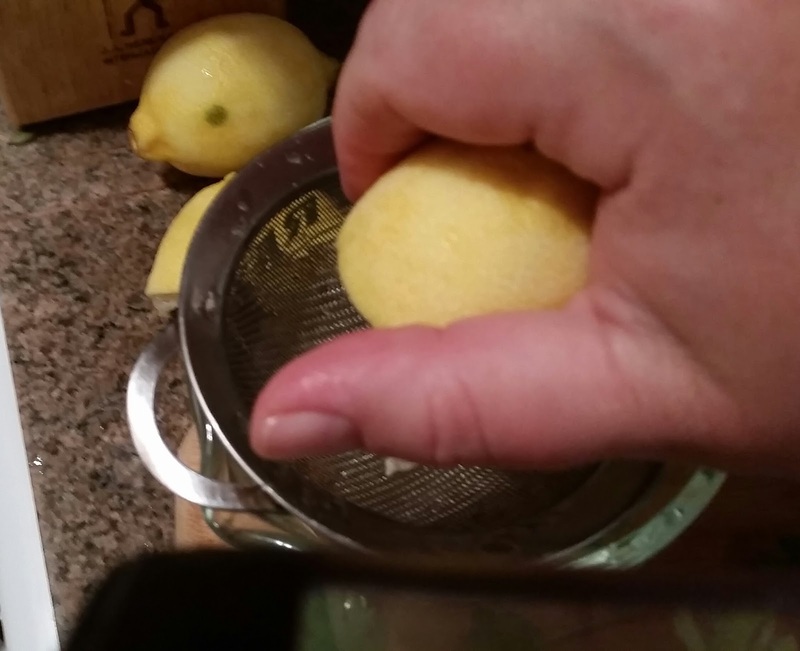 Add 1/3 cup lemon juice to a medium bowl or a food processor bowl. Peel and mince 3 small or 2 large garlic cloves. 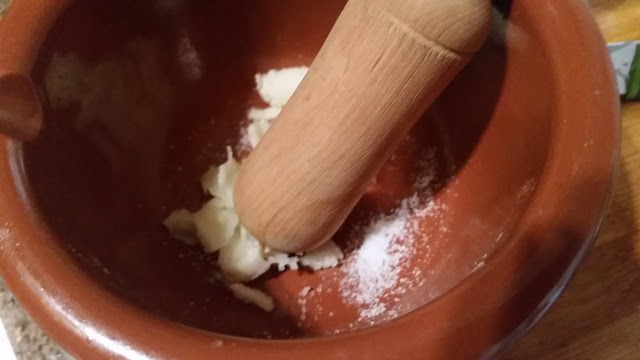 You can use a garlic press, but I use my little mortar and pestle to just crush it up and let the food processor do the rest. I don't recommend throwing them whole in the food processor unless you REALLY like chunks of fresh garlic! Add 3/4 tsp fine salt to the mortar and pestle or to the bowl. Whisk or whiz together the above ingredients with 1 cup tahini paste and 1 cup water (or 2/3 cup water for a thicker dip). 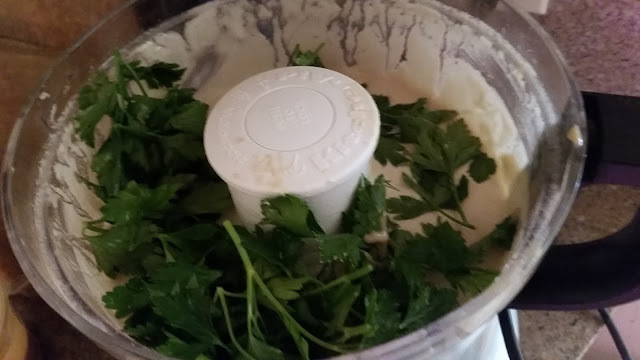 Rinse and pat dry 1 cup parsley leaves (bits of the tender parts of the stems can go in, just not the tougher parts) and mince finely if mixing by hand or toss into the food processor. Mix well and serve as you like.